It is imperative for businesses with international customers to maintain effective communication with them. Such companies must have cost-efficient methods of reaching their clients, and likewise, their clients and prospective customers must be able to obtain product information, service, and website access. Fortunately, modern technology has expanded communication horizons beyond "snail" mail, telegraphs, telex, and telephones. The 6 most important tools for communicating with international customers are phone calls, emails, messaging applications, Voice over Internet Protocol (VoIP) contact, social media, and video chat. 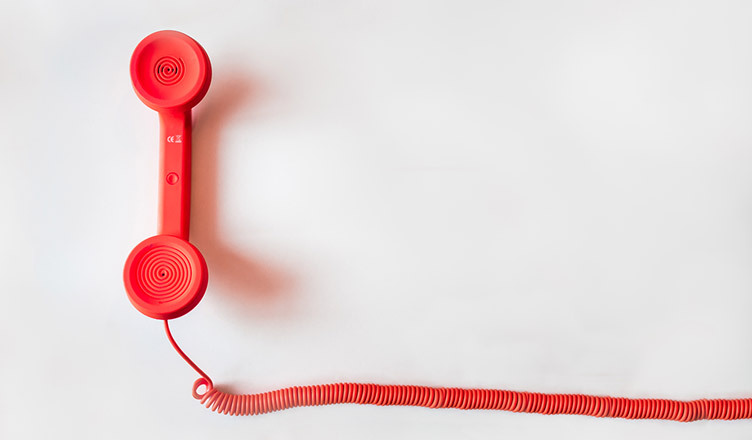 Being able to converse directly with customers is critically important to the success of many businesses, and toll-free numbers are a cost-effective approach to international telephony. There are 3 basic types of toll-free numbers: international toll-free numbers, vanity numbers, and virtual local numbers. Call forwarding companies, such as Global Call Forwarding, sell these numbers to businesses. When a person calls one of Global Call Forwarding’s numbers, the call gets routed to specific prearranged destinations. The subscribers to the toll-free numbers pay a monthly fee based on call volume, and the forwarding service provides many free features including a programmable interface and a virtual Private Branch Exchange (PBX). International toll-free numbers are similar to 800 numbers in the United States. The companies subscribing to the numbers pay for the calling service, and the callers do not pay for the calls. Many countries use variants of "800" as number prefixes, but the “800” prefixes are not universal. The following table shows some of the differences. Vanity numbers usually consist of an easily remembered word sequence that relates to a business or its products. For example, a T-shirt shop may want a number like “1-800-TSHIRTS”. There are obvious marketing advantages to such a number; just your phone number can imply that you are an industry leader. Another type of vanity number is a repeating number sequence like 1-888-888-8888, which is easier to remember than random numbers. There are also shared-use vanity numbers. Van Nuys, a California company owns the number 1-800-TAXICAB. That company rents the number to taxi services in other cities. The owner of the number redirects calls to subscribing taxi companies on a city-by-city basis. Virtual phone numbers are local numbers that can give a business a virtual presence in countries around the world. This allows a business to maximize its ability to compete in foreign markets. Callers may believe they are dealing with a local office while the call may reach its destination halfway around the globe. It is far less expensive to maintain the local number than to setup a local office or pay an agent in a target market. Virtual phone numbers are less expensive than international toll free or vanity numbers. They are also more versatile because they are usually available to callers on landlines, mobile phones, pay phones, fax transmissions, and in some areas, people in adjacent countries. Time-of-day and day-of-week routing send calls to call centers in appropriate time zones to enable 24/7 support and customer service. An interactive voice response feature helps to route calls to attendants who speak the language of the country of the caller. Email is a great way for communicating with international customers. It is one of the oldest forms of digital communication, and it is faster and cheaper than land-based mail (snail mail). Many free email applications have features to keep users efficient and organized. Email is accessible from PCs, laptops, and mobile devices. One can send attachments to the emails including pdf files that can contain large documents with small file size. One possible drawback is that many people do not read emails on their mobile phones. WhatsApp: It is free and simple to set up. People can make video and voice calls using this app. It also allows encryption for privacy and security. Line: Line is popular in Asia with over 600 million users. Users can make calls or send videos via the app, and establish chat groups for up to 200 participants. Viber: This app automatically adds contacts, and permits texts, video and voice calls, and sending photos. Encrypted messaging is available. Hangouts: This Google app is available for Android and IOS devices, PCs, or laptops. Users must have a Google account. IM+: IM+ permits users to send and receive texts from many services. Users can aggregate older messaging apps into IM+. Voice over Internet Protocol (VoIP) services are popular because they are cheaper than corresponding telephone services. VoIP communications can be via special phone sets, computers, or mobile devices. The service is cloud-managed with many call-handling features including Private Branch Exchange (PBX) systems. VoIP also supports free Skype-to-Skype video conferencing between two people. A business can support informal communication with international customers using social media tools such as Facebook, Twitter, Google+, Reddit, Pocket, Tumblr, Pinterest, or LinkedIn. Ned Isaacs is a long time consultant for Management and Technical Writing. He is a retired Manager of MSA Specialty Battery Facility. During retirement, Ned was an editor of McGraw Hill’s Handbook of Batteries. He was a consultant at the University of Kentucky, and he has also written web content for Global Call Forwarding and Sensor Products.